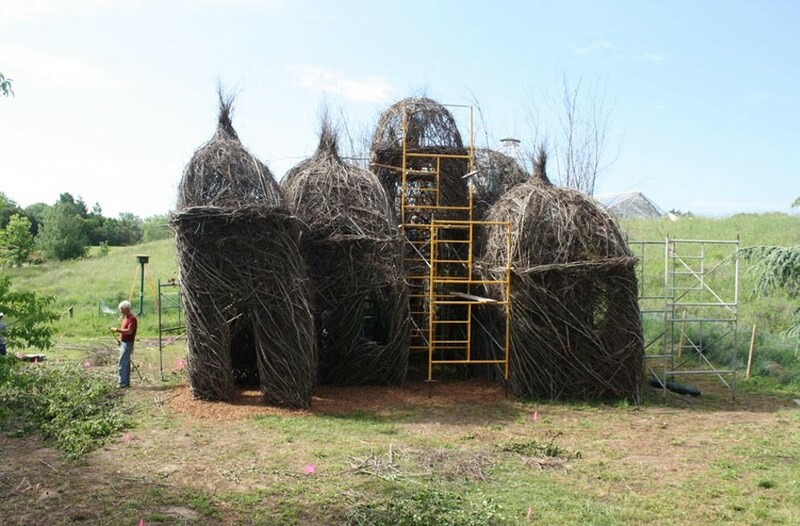 For Lewis Ginter Botanical Garden, Jonathon Hamer used time-lapse photography to capture the 2011 work of artist Patrick Dougherty, aka the Stick Man, for a sculpture in the Anderson Wildflower Meadow. About eight years ago, Jonathon Hamer was selling home improvement projects for a company in Powhatan when he realized it needed a better way to show off what it could do. So he decided to take photos of the work in progress. With experience in his Web design company, he says he explored equipment and software available. In about a year came up with a product that could be installed on a job site. The photos it took could become fascinating time-lapse videos. “Who needs before-and-afters when you can show them start to finish,” Hamer says. Now he’s busy with a lot of bigger commercial projects, shooting the construction of the new Richmond city jail, the build-out of a Martin’s — even a neighborhood in Glen Allen that spanned a year. He’s also done work for such clients as the Valentine museum, capturing the start to finish of a gallery installation.